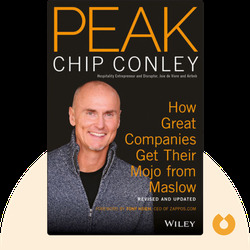 Peak (2007) reveals how hotelier Chip Conley became inspired by a book on psychology and applied it to his own successful business philosophy. These blinks show us how we can find lasting success and happiness by shifting away from fixating on profit and instead focusing on creating positive relationships with customers and investors. Chip Conley established Joie de Vivre Hospitality in 1987, when he was just 26 years old. It has since grown into a prize-winning boutique hotel company. He is also a popular author and public speaker. His previous books include The Rebel Rules and Marketing That Matters. 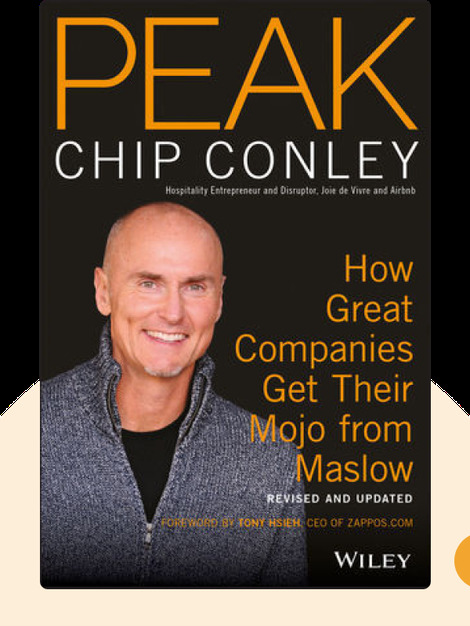 ©Chip Conley: Peak copyright 2007, John Wiley & Sons Inc. Used by permission of John Wiley & Sons Inc. and shall not be made available to any unauthorized third parties.